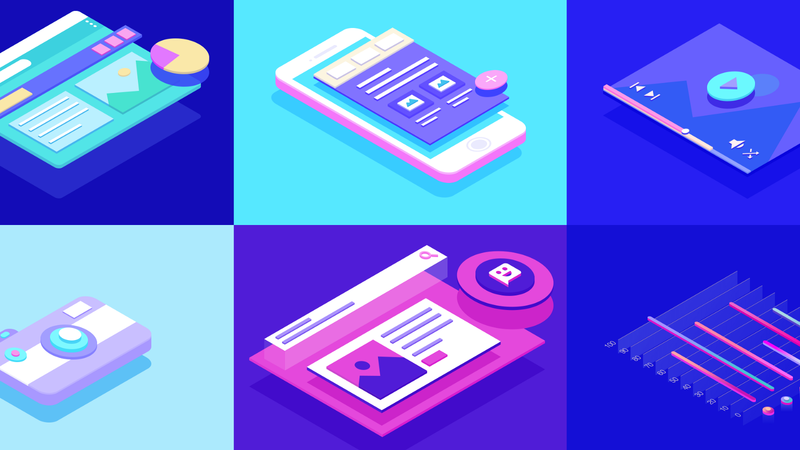 Taking your app UX to the next level isn’t an easy task, however choosing the right tools can help you deliver a brilliant experience to your users. A long short story — I’ve always been interested in learning new technologies to improve the websites I developed for a better UI/UX. It seems to be easy to think like that, but it’s actually very hard and sometimes frustration to bring the most value to your users. Almost an year ago I’ve started a project called Askable as a side project at the company I’m currently working for. Since then it started to get traction and it became a very promising project that could be turned out into a company with very hard stakes and challenges to overcome everyday. I still remember the day I was creating the booking form (Basically 5 different pages with loads of options and a Save button in every page) and the head of product Dre Zhou came to me saying that he wanted that form to be “Real Time”. I simply told him: “You know that’s not an easy task, right?” He then replied: “I know, but I know you can do it!”. I did it. In this article I’ll show you how I achieved such a thing. Take your time. There are a lot of tools available to help us create amazing experiences. Two years ago I was bored and frustrated with the technology I was using and then I decided to step up and study React and React Native. This was by far one of the best decisions I’ve made in my professional life. One year later I was building amazing apps and websites with React and Redux, but got overwhelmed with the amount of code I had to put up. I then decided to step up again and study GraphQL (Mainly because of an article from Peggy Rayzis). Another great professional decision. The beauty of technology comes when you start connecting the all the dots to create amazing products. Tools like Apollo and React are awesome and you should check them out. Can my server process HTTP requests in real-time? Will it crash my server? Should I make a call every time my state changes? What happens with the data the server returns? The answer is GraphQL, Apollo Client and Optimistic UI. Optimistic UI stands for an operation that fakes your final data and update your state until your network responds back from your server. Notice in this example the little status toggle close to the “Next” button. It’s reflecting the real-time changes on the database. Differently to what most people might think, this page doesn’t save the data on the “Next” or “Save & Close” button. In fact, those buttons don’t do anything special, they just redirect the user to a different page. Every change on this page triggers a mutation called updateBooking, and every piece of data is connected to a field returned from a query. Notice that the value of our component that will render the “Session Times” on our UI is coming from our props. So let’s break down this whole code to understand how each part is playing well with each other. The user changes the Session Time (which happens on the GIF above) from 1 on 1 interviews to Focus Group. Once the network request comes back from our server, it will update the component again, as it will receive new props. We’ve been getting lots of real good feedback from our users after we adopted this approach of using Optimistic UI with React and Apollo to update UI components. In fact, we’ve seen an increase of 20% on the number of returning clients that started a booking and finished where they left off in the past. This also improved significantly the level of trust we’re building up with clients as they know their information is always saved securely and in real-time. We’ve been running React and GraphQL together in production for a while already, so feel free to get in touch with me if you have any question. Feedbacks are also very welcome. Software Engineer at Askable.com. React & GraphQL fan.